One of the reasons my school assembly shows are so popular, both in my hometown of Buffalo NY and across the northeast, is that they are memorable. I may act goofy at times, but it is my use of magic, music, humor, and audience participation to deliver key messages that makes them stand out in students’ minds. I want children to remember the themes and key points long after the program has ended. The flow between his magic and the H.E.R.O. message was seamless. The students enjoyed the presentation, and the messages of respect and how to handle bullies was easy for kids to understand. But these messages don’t only apply to school environments. You can turn almost any situation into a teachable moment with just a little bit of imagination! At her core, Shark Girl simply wants a friend. Buffalo is a diverse city known as the City of Good Neighbors––a reputation every citizen, old and young alike, should want to live up to. Unfortunately, bullying is still a problem within our schools, which makes Shark Girl‘s presence even more important. Open Up to talk about it. 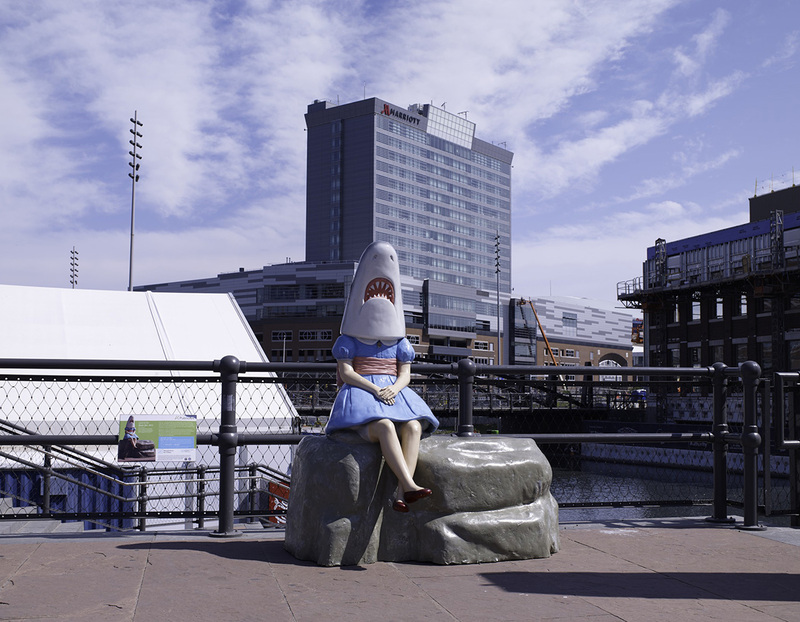 So take a trip downtown and take a picture with Buffalo’s Shark Girl! Then tag me on Instagram at @crisjohnsonsassemblies or share your photos with me on Facebook at @CrisJohnsonSchoolAssemblies.